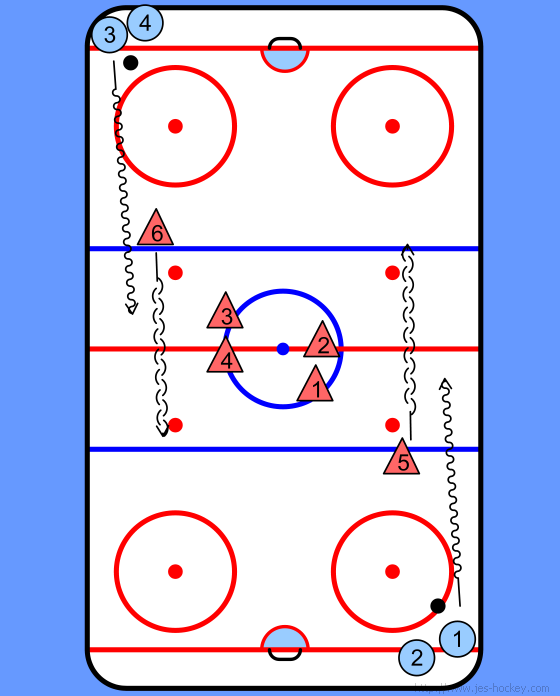 This drill can be combined with any 1 on 1 drill that is mirrored on both sides - it just adds to these drills. 1. 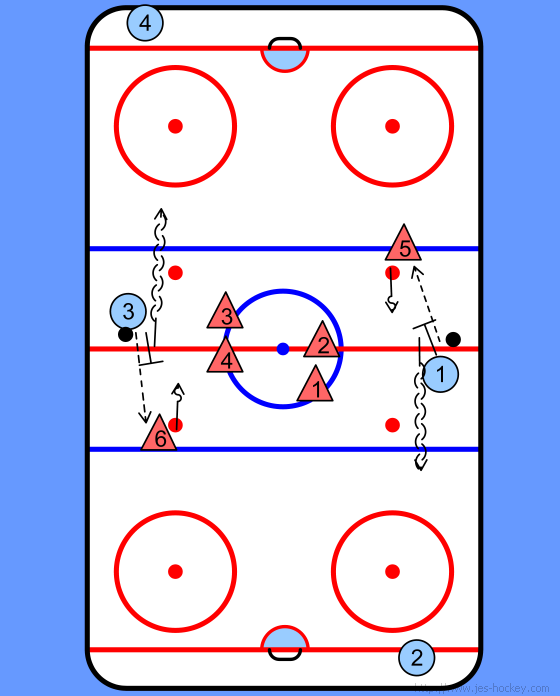 On the 1 on 1 portion of the drill when they are in the neutral zone area the variation begins. 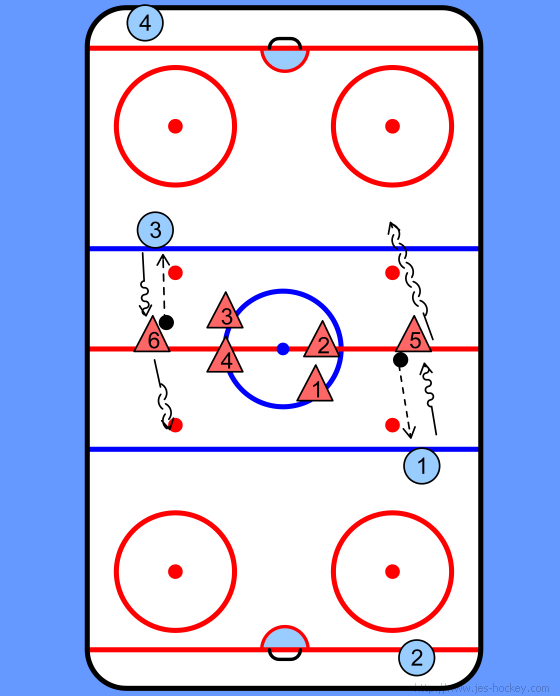 - Now the D is skating back towards the F.
4. The D makes a pass to the F.
5. F pivots and attacks whenever they want and try to catch the D off guard. 6. D must keep a close gap without being beaten.